The coast, unfortunately, can be a breeding ground for mold. The air is humid and moisture may seep in where you least expect it. Having mold inside or on the exterior of your business can be a huge turnoff for customers and can cause you a great financial burden, but Triclean is here to help. Here is a list of three steps you can take to help prevent mold from taking hold in your building. Routine cleaning is very important for the prevention of mold. Not only does cleaning involve getting trash, debris, and other matter off of surfaces, but it also leaves the surfaces of your building dry and removes any moisture buildup. At Triclean, we help clients by performing a multitude of cleaning duties, including sweeping, mopping, vacuuming carpet floors, emptying trash cans, wiping down windows, and more. By keeping your office or place of business clean and having professionals regularly inspect it, you decrease the chances of serious mold growth. Cracked foundations and broken concrete are dangerous not only for their ability to attract and grow mold but for the threat they pose to the structural integrity of your building as well. If your business has concrete floors, having them sealed can protect from mold and moisture damage. Triclean offers professional concrete sealing services to our customers, and floors are usually dry within a few hours — so you don’t have to shut down your business for days while waiting for the service to be finished! Living and working on the coast of North Carolina means constantly battling against moisture in all its forms. Unfortunately, having too much moisture in the interior of your building greatly increases the odds that you will grow mold. To help, consider purchasing a dehumidifier to keep the air dry and reduce the probability of damage. 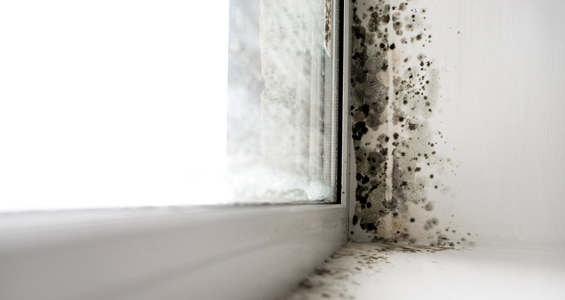 These tips can help prevent mold, but sometimes mold growth goes unnoticed. At Triclean, our specialists are able to help clients with mold remediation through our restoration services. If mold does find purchase in your building, contact us as soon as possible. Have a happy and mold-free New Year!